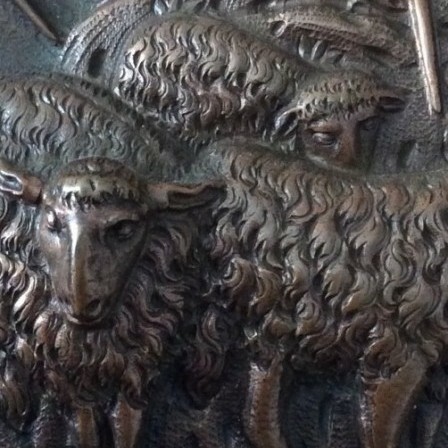 Antique Framed Victorian repousse cast copper picture of shepherds and sheep. 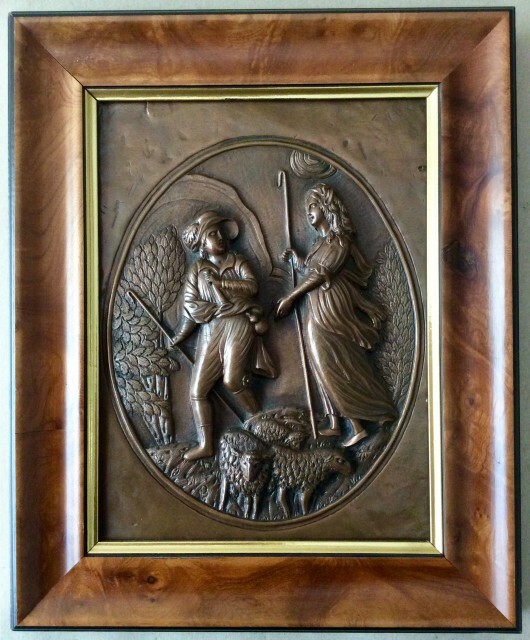 Antique repousse copper plaque engraved and hammered scene of shepherds and flock.C1860. 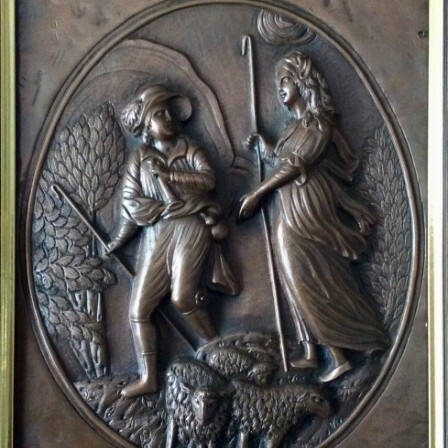 Description: Victorian copper repousse hammered and engraved picture of shepherd and shepherdess in landscape with sheep. Very deep repousse gives a three dimensional quality. Framed, so I have not looked at back. This could be an electroplated plaque with engravining and repousse work added. The frame cut down from an old frame. Dimensions: Overall: 26cm W, 32cm H. Plaque 18.5cm W, 24cm H.